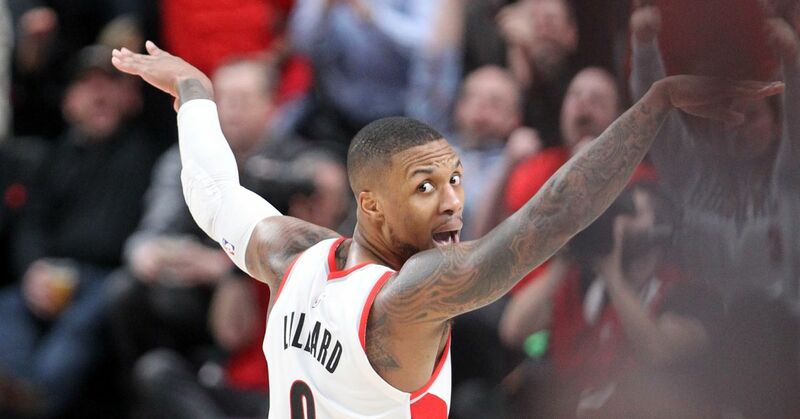 Lillard had 29 points, McCollum had 33, and Portland Trail Blazers used a strong third quarter to blow the Oklahoma City Thunder out of the Rose City, 114-94. Meyers Leonard : With fouls piling up on both sides, Meyers Leonard was pressed into action. He replied with some of the best man-to-man defense of his career, and some timely rebounding to give Blazers the edge they needed. Foster's Home for Imaginary Fouls: The referee and lead referee Scott Foster laid on the whistle early and never let up. The teams were called for 29 fouls in the first half, and 52 overall, not including technical fouls on Zach Collins and Markieff Morris. Three point line favors Portland: The Blazers shot 13-of-32 from three. The Thunder shot 5-of-28, and dropped to 10-of-61 for the series.